Optimize your daily processes and improve the efficiency of your business with our powerful, easy to use suite of software solutions designed specifically for the fuel oil and propane industries. The energy industry is constantly evolving, and Blue Cow’s Ignite® suite of software for propane and fuel oil companies is designed to evolve with it. We adapt our technology to every new advancement in the industry, helping our clients to manage efficiently and effectively in a changing market. We received tremendous support from the initial date of installation to present. As we all know, when dealing with a new software roll out, there are always going to be some issues; however, Blue Cow was exemplary in how they addressed these issues and got them resolved. This partnership with Blue Cow has produced tremendous returns, and I would highly recommend Blue Cow Software to any company out there looking to improve their current fuel software demands. While we were excited to step up our game with Blue Cow’s Ignite software suite, we were not prepared by the incredible level of support and service we received throughout the implementation. It was great to have someone right there to answer all our questions, both big and small, and to teach us the best way to get things done. We are already seeing the benefits of transitioning to Blue Cow, and look forward to a long relationship with you. Customer service is always a top priority to an oil dealer but even more so in recent years. As a result, we come to expect a higher standard from the companies we deal with as well. Blue Cow delivers. I can honestly say it’s a pleasure to deal with all the people involved. Upgrading to Blue Cow was a wise investment. The ease with which you can input and extract data (billing, scheduling deliveries, planning delivery routes, and communications with your customers) makes for efficiency. Blue Cow is the company that never says no. If they can’t say “yes” right away they say, “We’ll work on that”. They provide wonderful training and great support. They are always improving. Blue Cow makes life easier. 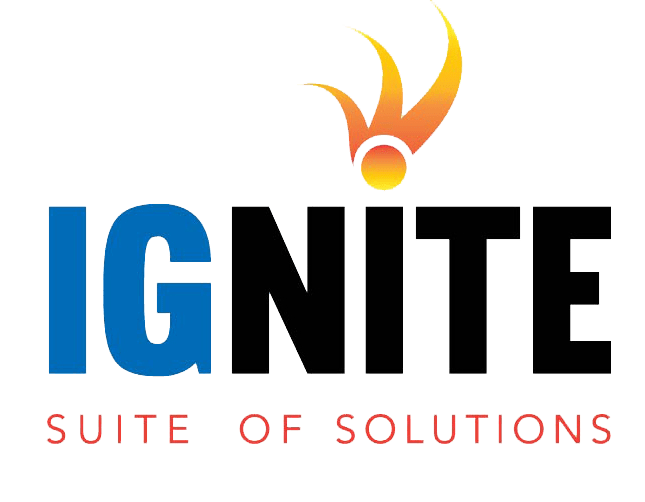 We really do enjoy working with Ignite every day. It is SO much better than what we had for years. The ease of the software is probably the strongest point, especially the help tab. One click and we get the answer to almost any question immediately, without making a phone call to tech support. Which is another strong suit for Blue Cow - if we do need additional help you are right there for us. We love these people, and could not be more satisfied with them or their product. We have saved tens of thousands of dollars a year just in maintenance fees by switching to Blue Cow Software! Did we mention how much we love these people? If you are looking for a new software provider, look no more! You are in the right place with Blue Cow Software! We began using the Ignite software in July of 2009. It was, and continues to be, a terrific investment for our company. From our Customer Service Representatives to our Sales Department, everyone has found a favorite aspect of the software. More importantly, the staff with Blue Cow Software is always available to help with any questions we may have. They continue to teach us about their software and keep us involved in their product. From the family history to the way they give their clients such personal attention, we couldn't be happier to have made this journey with Blue Cow. When you choose Blue Cow, you are getting an amazing system and crew to guide your business through change and you truly feel like you become a part of their team. We have already seen huge headway for us thanks to Blue Cow Software and we can't wait to see even more for many many years to come! Our server crashed over Labor Day weekend and we were told it had to be wiped out and rebuilt. I called Blue Cow to see if we could install the database on another computer so we weren’t paralyzed. With their help we were back up and running by the end of the day. Our statements were only a day late and all our data was saved thanks to SafeTNet. We are now able to now get by till our new server is installed. I can’t thank you all enough! Ignite’s user friendly interface lets us work with speed and accuracy. We don’t know how we did anything but charge credit cards before we had the payment interface. Ignite web gives us a competitive advantage and the automatic download saves time while preventing data entry errors. We have more and more customers using it reducing our phone volume and costs. Call Blue Cow at (888) 499-2583 or send us an email to schedule a demo with our fuel company & propane dealer software experts.